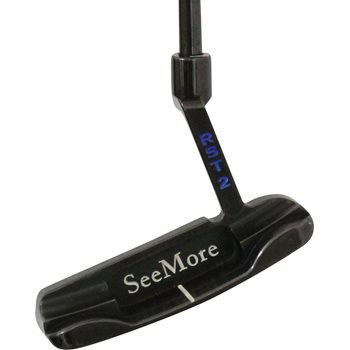 The SeeMore mSeries DB-4 putter features a 100% precision milled carbon steel head design with a proprietary multi-layer black gunmetal finish for striking and lasting beauty and incredible feel and consistency. The RifleScope Technology (RST) alignment system is situated on the top of the hosel and provides a true reference point for optimized alignment on every putt. Enhanced perimeter weighting produce an expanded sweet spot for increased forgiveness, softer feel, and tour-level performance. The DB-4 features an Anser-style head with a plumber''s neck hosel.